Forget about Christmas in July. This year, you can save big with Black Friday in July. Amazon Prime Day kicks off on July 16, and the retailer’s warming up for the blowout by offering some steep deals leading up to the event. Today, you can snag all manner of Anker’s popular chargers, cables, and portable batteries at mostly unheard-of savings. The discounts end at midnight Pacific time Monday, and you need to be an Amazon Prime subscriber (or sign up for a free 30-day Amazon Prime trial) to claim them. The hardware on sale keeps you powered up no matter where you are, and no matter what type of device you’re using. If you’re looking to charge your phone on the go, you’ll find a pair of potent battery packs on sale: The Anker PowerCore 5000 for $14 (MSRP is $50) and the massive Anker PowerCore II 20000 for $39.89 (MSRP $100). The numbers after each name correspond to how big the batteries are. 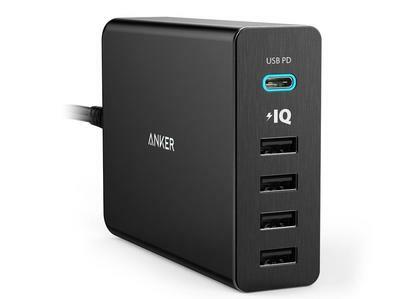 You’ll also find the Anker PowerCore+ 26800 PD on sale for $90, down from its usual $200. This bigger battery pack includes a USB-C port and enough juice to power laptops that’ve embraced the modern charging standard. The one-day sale also includes a variety of more stationary chargers. The 12W Anker Wireless Charging Pad costs $12.59 today, down from $70, and works with the latest iPhones as well as several Android handsets. The 30W Anker Roav car charger packs a pair of Quick Charge-enhanced ports to keep both driver and passenger topped off on the road for $16, a $6 discount, while a 60W, five-port USB wall charger is on sale for $24.74—about a third of its $74 MSRP. If you need cables to connect to your new chargers, you’ll find a three-pack of Anker’s braided 10 ft. Lightning cables for $12.59, down from $40, or a three-pack of 3 ft. USB-C to USB 3.0 cables for $10.98. Finally, you’ll also find Anker’s Roav Dash Cam C1 available for $60. That’s far below its $150 MSRP, but comparable to what it’s been on sale for recently. We haven’t tested it ourselves, but PCWorld’s guide to the best dash cams can tell you what to look for. The early deals don’t end there. Today only, you can also pick up a 50-inch 4K TV for $290, and Amazon’s offering discounts on its own hardware and services ahead of Prime Day on July 16. Sign up for a free 30-day Amazon Prime trial if you’re not already a member, and stay tuned while we bring you the best Prime Day computing and electronics deals over the next week. Spoiler alert: They won’t all be as juicy as this Anker sale.